We love a good pun around here but saying that hot sauce is hot right now is a bit too easy for us. Yet, though a bit lazy and humorless, that statement is nonetheless true. How hot is it? Consider some numbers: Since 2000, US sales have grown by 150%, which is more than the sum growth for all other condiments combined (yes, all of them: ketchup, mustard, mayo, BBQ sauce…). In 2015, Euromonitor noted that sales of hot sauces grew at nearly twice the rate as other packaged goods writ large. Spicy products have a 20% compound annual growth rate over the last 10 years. Oh, and as of last count, more than half the American population has at least one bottle of hot sauce in their fridge. All this means that, within the next five years, hot sauce will be a $1.65 billion industry. Yet despite being one of the few things the nation can agree upon, the hot sauce market remains fragmented and regional, giving manufacturers opportunity to establish and differentiate themselves. So let’s spice it up with some CPG and manufacturing market research as we endeavor to understand the trend’s origins, and separate the mild from the medium and the hot. Hot Sauce Makes Sensory Sense? A $1.65 billion industry…that’s a lot of bottles. Think about it: hot sauce isn’t a pricey item where a little sets you back a lot (like caviar) or an affordable one that gets used cups at a time (like mayo). Bottle by billions of bottles, drops by trillions of drops, the sheer size of this market is staggering. Seriously, there must be a run on chiles all over the world. 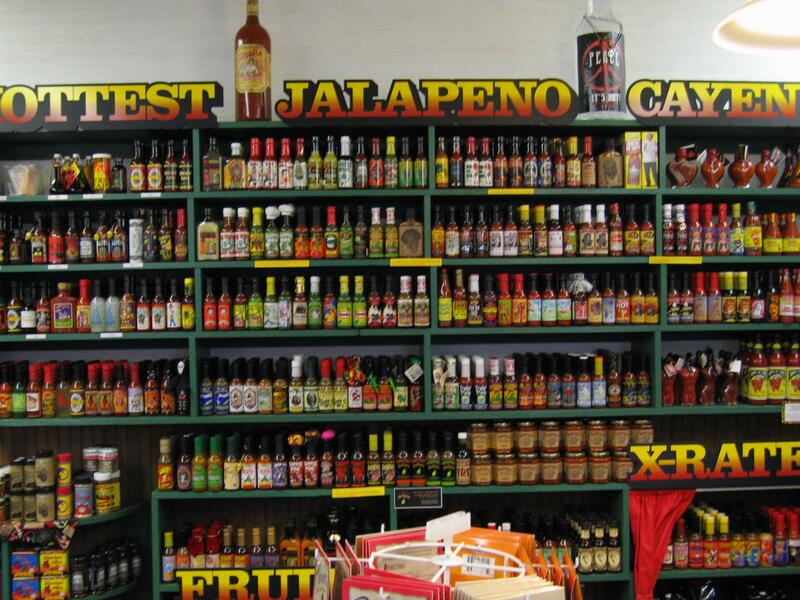 But what is at the root of the proliferation of hot sauces? Some of it, according to one food consultant, is more related to science than culture. Barb Stuckey believes that, through a combination of allergies (did you know 50 million Americans have environmental allergies?) and old age, the industrialized world is losing its sense of smell. And we are looking to fill in the gaps, she believes, with spicy food, which both has sinus draining powers (mocos have always been a strong indicator of good salsa) and a distinct tactile feeling. Indeed, some refer to it as a burn, others a bite, but the feeling is the same—the physical pain (hurts so good) that comes with spicy food gives people additional tactile culinary sensations, which Stuckey believes we crave as we lose our sense of smell. Whether you think we chase the burn to supplement our sensory perceptions or for some other reason, her work suggests that our consumption is more compulsion than obsession. But for every scientific explanation, there is a cultural one. Here’s our favorite: In addition to their dreams (and their lactose intolerance), immigrants are bringing their tastes for, and knowledge of, spicy foods. This is not only shaping demand for spicy food, but also the options available to fill it. Particularly in urban areas, boasting a rotating lineup of immigrant-run, ethnic restaurants (and grocery stores! ), the options go way beyond Tabasco sauce. Quick story: This blogger’s mother, an otherwise adventurous woman who once partied with John Belushi, does not stray too far off the middle-of-the-road when it comes to dining. Her favorites are a who’s who of American culinary insularity: American, Italian, Mexican, maaaaaaybe Chinese if she’s feeling crazy (that’s as far as crazy takes her). And certainly nothing too intense. It’s not that she’s boring or xenophobic, that’s just the culinary world she was born into, one where the spice was dialed down to accommodate all, and Orange Chicken was about as hot as it got. Things have changed between her generation and mine. Immigrants aren’t the only ones who have moved to urban areas—so have the millennials (though with them we might want to call it gentrification.) For diners nowadays, it’s not just Applebee’s and El Torrito within range but a pu-pu platter of offerings from around the globe, each with its own version of spicy and savory and sweet. And discerning eaters are starting to discover their favorites. All that exposure leads to familiarity, appreciation, and something bordering on addiction. Indeed, millennials consume more hot sauce and spicy foods than any other generation. With a seemingly-addicted, ardently devoted consumer base, you would assume that one sauce would burn the others to the ground. Yet the market remains quite regional and fragmented, with national player Tabasco brands claiming a 17% market share, northeast favorite Frank’s RedHot 11%, and SoCal institution Huy Fong (sriracha) at 8%. Other regional favorites include Texas Pete (popular in Texas, of course) and Louisiana Hot (weirdly popular in Chicago). None of those numbers are all that big, right? That’s because Kraft-Heinz, Hormel, and other CPG titans never established or acquired a brand of their own, and now they are left playing catchup(!!!). Less consequential but no less interesting, this gap has also led to a bumper crop of novelty hot sauces—from the Stooges all the way to Cheech Marin, they run the gamut of cultural tastes. Our favorite? This collector set of Golden Girls themed hot sauces, complete with “Bea Spicy”, “Desert Rose”, “Sicilian Fire”, and one variety we can’t print in this humble family blog (yes, it’s Blanche-related). And this says nothing of the products inserting branded hot sauces into their formulas. 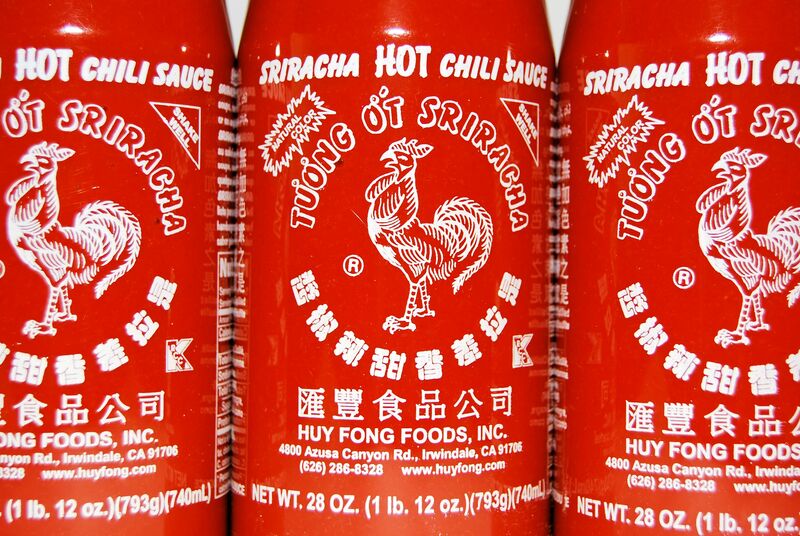 Sriracha in particular (which is a style of sauce not a brand name—Huy Fong Foods produces the famous one with the rooster on the label but they don’t own the term) is popping up in everything. The following is just a partial list of recent products spiked with just sriracha, which despite its relatively small market share, is, in our non-scientific survey, the coolest hot sauce: McDonalds burgers, Heinz Ketchup, Jelly Beans, donuts, lollipops, cookies…and beer. Yup, thanks Rouge. Speaking of beer, spicy food consumption has long been a noted signifier of masculinity. Some people even believe it actually puts hair on one’s chest. No, really. Poppycock science aside, men do seem to love hot sauce disproportionately. Indeed 23% of males 18-34, according to Mintel, are constantly chasing a hotter hot sauce, increasing their spice threshold as they add hair to their chest and credibility to their swagger. Millennial males are, in fact, hot sauces’ greatest enthusiasts, with 83% of them consuming it regularly. Perhaps we are in danger of hitting peak hot sauce, however. Maybe the market is like the ghost pepper it utilizes—just about as hot as it can get. Indeed with so much demand and increasingly individuated options, hot sauce, much like the golden age of television, could be treading towards the poverty of excessive choice. But how long can it stay interesting? As manufacturers fall all over themselves to incorporate ethnic flavors from Asia, Africa, and Latin America, they must do so with an eye on their ideal consumers and their competition. And that means market research. First, since the flavors manufacturers are looking to rollout are by and large unfamiliar to the typical American, good old-fashioned focus groups are a must. Whether run regionally or coordinated across the country, focus groups will provide invaluable data about which formulas raise eyebrows, mercury, and ultimately profit forecasts. Second, it pays to keep an eye on the competition, and in this case manufacturers should be running a competitor analysis to understand how they stack up in terms of product, price, and messaging. Again, the field is full of competitors, but with no clear leader (only in our hearts, sriracha, only in our hearts) the world is your salsa bowl. Jump in.